"Excellent stay, everyone was so polite." 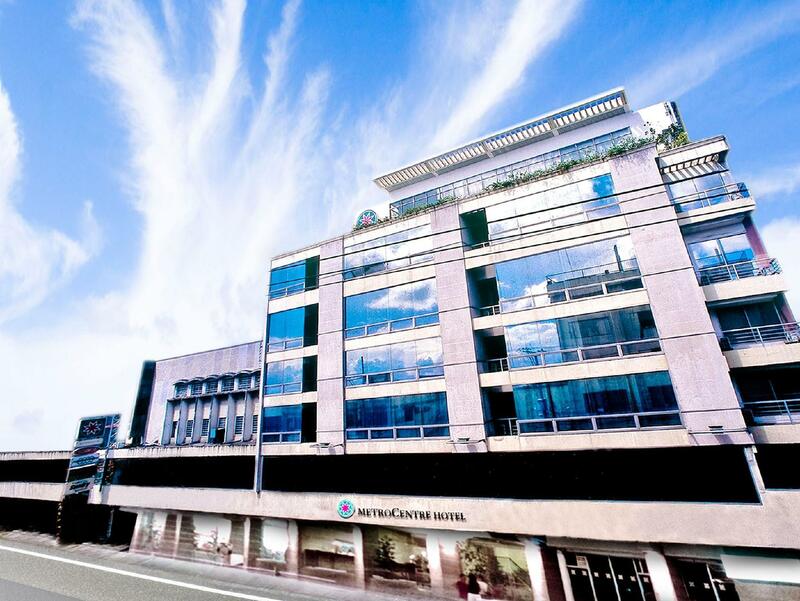 Have a question for Metrocentre Hotel & Convention Center? "The hotel is clean good for 3star hotel, 5mins from tagbilaran airport, accommodates free shuttle and the service is like we are vip." "Good location which near downtown, market and many restaurant nearby"
"Excellent place to stay in the city." 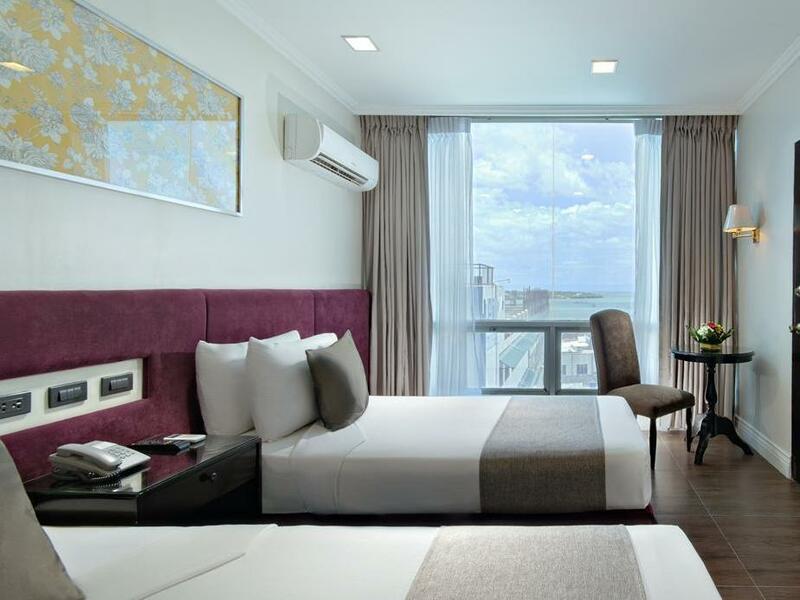 Whether it is for business or leisure, the Metrocentre Hotel & Convention Center is the perfect place to be, located in the heart of Tagbilaran. 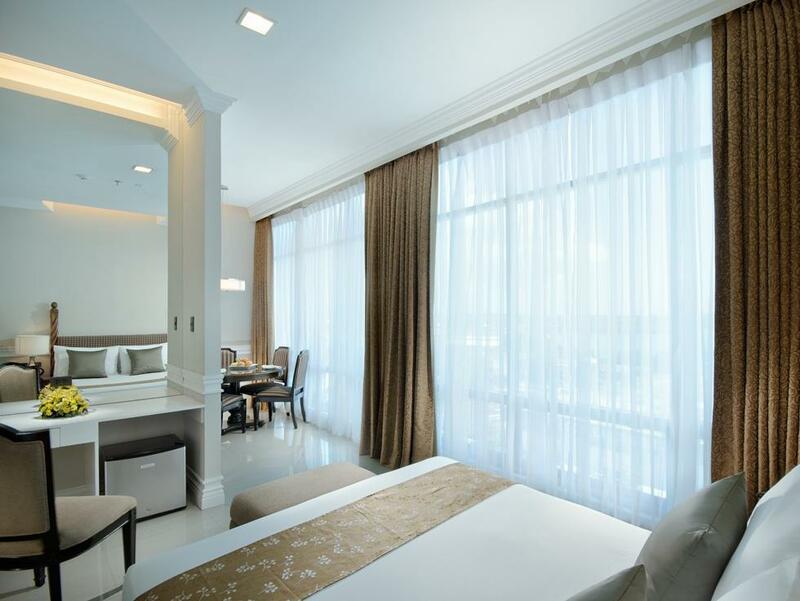 Offering 72 cozy and elegantly furnished guestrooms ranging from standard to presidential suites, the property also boasts its spacious function rooms and state-of-the-art facilities for meetings, conferences, conventions, and full banquets. 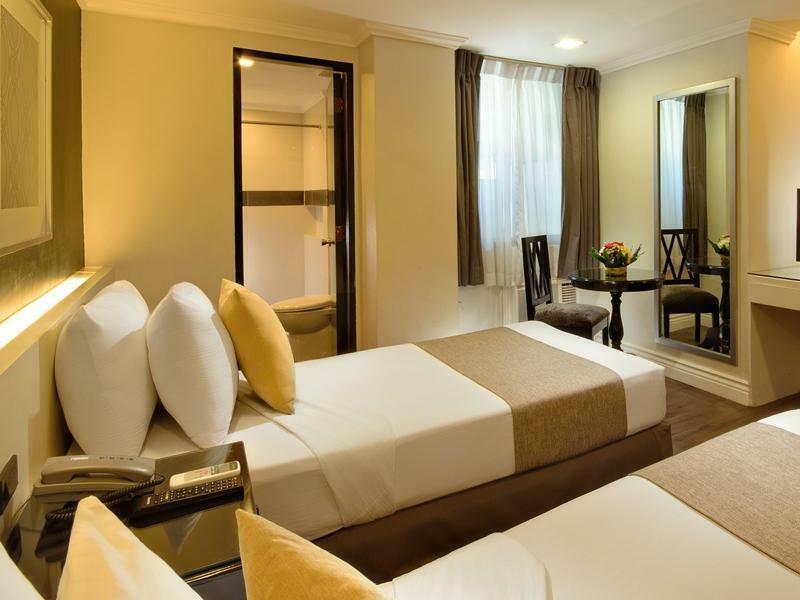 Mixing a touch of Boholano charm and warm elegance, the Metrocentre Hotel & Convention Center provides an oasis of comfort and relaxation, a perfect place to run to after a chaotic week. "This place is in a central location to a lot of the beaches..."
Airport transfer is available at an additional charge. In order to reserve the transfer, please inform the property of your arrival details at least 3 days prior to arrival. Will be nice after renovation is done and we stayed on Valentine's night so had a loud party where the guests kept slamming the 2nd floor entrance door and yelling in the hallways. Filipinos need common sense when others are trying to relax and sleep and not be so noisy which is their nature...need to quiet down at night!! With refrigerator but providing a hot kettle is better. the breakast was one of the best in Tagbilaran, we stayed in 6 different hotels, we loved the variety offered. 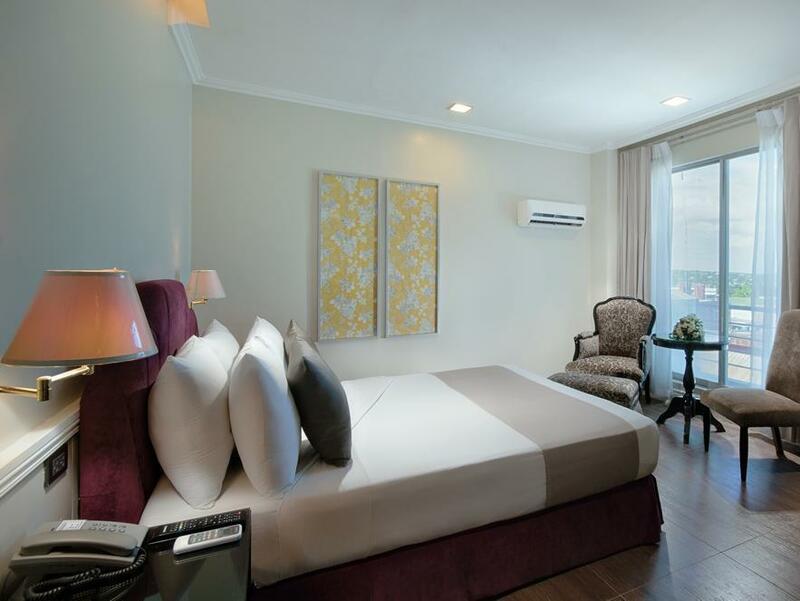 the location is great near malls, shops, the staff -very helpful, and the rooms clean. Being under construction, we expected noise. the only disappointment was the size of the pool- very small, and the ability to access the exercise and pool area. This hotel is kinda old and outdated but their service is absolutely fastastic, everthing is provided; airport transfer, hearty breakfast meals, complete toiletries. Props to their bathroom, it's modern and very clean. I was amazed by their aircon and refrigerator...they're old ( we had the same models in 1997 or so) but they work perfectly fine, like brand new! I totally recommend this hotel.... there are new ones out there but always lacking something. but this hotel is overall awesome for me. Everyday they change beddings & towels and refill bottled water as well..all in all they clean your room every day! This hotel is not so modern hotel BUT its very accessible to anywhere. Best to stay here if you arrange for city tour . A very friendly and accommodating staff. A clean and spacious room. Plated breakfast is good too. Not encountered any problem at all. Daghang Salamat . The Hotel staff is very nice and friendly and superbly accommodating. Thank you for the great hospitality. You definitely have an excellent customer service. Highly recommended. We sure be staying here again. It would have been a nice vacation except for the bedbugs in our room and my other friends' room. When we complained about the bedbug their response was to just put it in the suggestion box. There was no wheelchair access ramp in the main entrance. They have a nice disco place, The Atmoshpere. Currently under renovation and hopefully they can resolve the bedbug problems. Always service with a smile; great breakfast! The place is great. It's in the middle of everything in Tagbilaran. Is it near to fastfood, malls, groceries and Spas. This is a great value for money. Just dont believe the photos of the room! To the management : Please would you mind if you enroll your waitress to TESDA hospitality management for more learning about the job shes into. Not happy at all. Basically all of my needs are there. Nice room, clean, there's a gym, a small pool and very nice breakfast. Except that the hotel looks old but all in all it was a nice stay. Staffs are all very nice and accommodating. It's worth it. They don't have the best rooms but they are working on it because they are currently renovating and adding more space. With their current situation, I still recommend the hotel. So thankful for the free airport shuttle. It's a big thing for a solo traveller considering that the new airport is in Panglao which takes 30-minute ride from Tagbilaran City. The wifi does go flat from time to time, but anyone on a lengthy holiday in the Philippines know that buying a Globe pocket wifi will have you connected on all your devices. There are very few properties in Bohol that boast the facilities that the Metrocentre has- game room, gym and pool to name a few. I have read countless negative and fabricated reviews concerning this hotel. The staff here our polite and very on task. The management is attentive and willing to rectify any grievances. Yes, the elevator can be a nuisance, but if you have a problem walking up and down some stairs then maybe there is a larger issue you should address. This hotel is perfect for anyone in transit. Try asking for what you want instead of complaining via a review board after you check out. You may be surprised how accommodating the Metrocentre can be. Thanks to the staff, especially the gym attendants for opening up the pool and gym between normal operating hours. : ). An amazing staff with great facilities. We love staying here for 3-5 days then venturing off to Anda, Panglao or Siquijor. The proximity to malls, great restaurants and cinemas makes this an ideal place for anyone arriving or departing Bohol. Anyone needing to extend their tourist visa can also do so across the street from the Metrocentre saving yourself a trip to Cebu or another city.